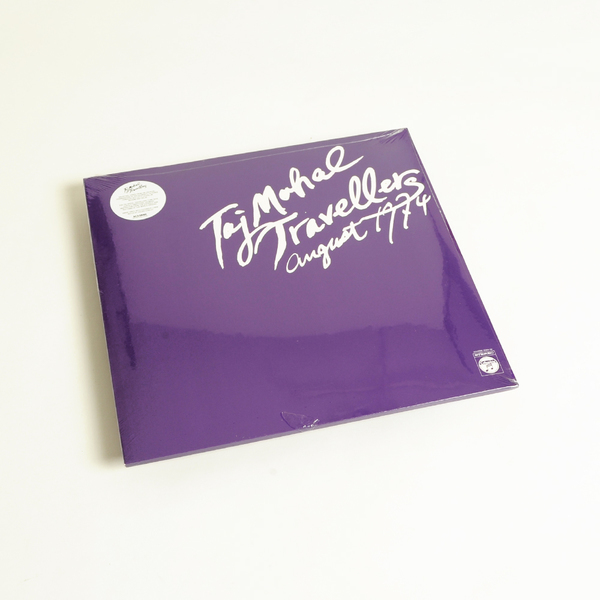 High quality reissue of the monumental work August 1974 by Japanese experimental music ensemble Taj Mahal Travellers. "In April 1972 a group of Japanese musicians set off from Rotterdam in a Volkswagen van. As they crossed Europe and then made their way through Asia they made music in a wide range of locations. They also paid close attention to the changing scene and to differing ways of life. Midway through May they reached their destination, the iconic Taj Mahal on the bank of the Yamuna river in Agra, India. The Taj Mahal Travellers had fulfilled physically the promise of the name they adopted when they formed in 1969. But their music had always been a journey, a sonic adventure designed to lead any listener’s imagination into unfamiliar territory. The double album August 1974 was their second official release. 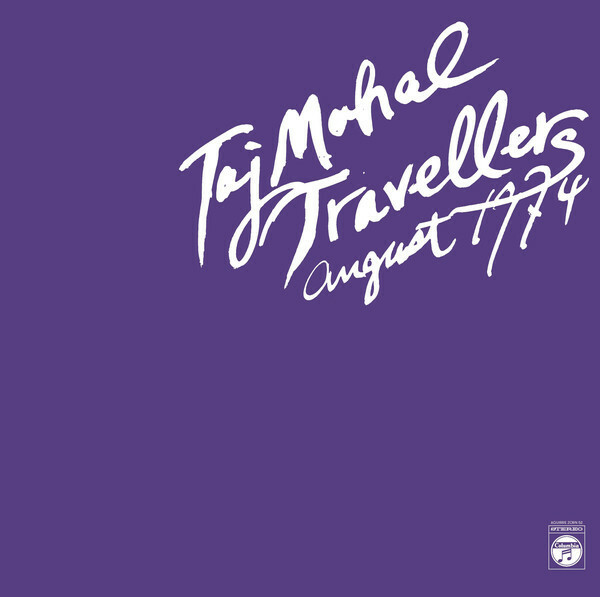 The first July 15, 1972 is a live concert recording, but on 19th August 1974 the Taj Mahal Travellers entered the Tokyo studios of Nippon Columbia and produced what is arguably their definitive statement. The electronic dimension of their collective improvising was coordinated, as usual, by Kinji Hayashi. Guest percussionist Hirokazu Sato joined long-term group members Ryo Koike, Seiji Nagai, Yukio Tsuchiya, Michihiro Kimura, Tokio Hasegawa and Takehisa Kosugi. The enigmatic Takehisa Kosugi, whose soaring electric violin was such a vital element in their music, had been a pioneer of free improvisation and intermedia performance art with Group Ongaku at the start of the 60s. Later in that decade, before launching the Taj Mahal Travellers, he had become known internationally through his association with the Fluxus art movement. During the mid-70s the Travellers disbanded and while his colleagues more or less stopped performing as musicians Kosugi continued to reach new audiences across the course of several decades as a composer, regular performer and musical director for the acclaimed Merce Cunningham Dance Company. August 1974 captures vividly the characteristic sound of the Taj Mahal Travellers, haunting tones from an unusual combination of instruments, filtered through multiple layers of reverb and delay. Their music has strong stylistic affinities with the trippy ambience of cosmic and psychedelic rock, but the Taj Mahal Travellers were tuning in to other vibrations, drawing inspiration from the energies and rhythms of the world around them rather than projecting some alternative reality. Films of rolling ocean waves often provided a highly appropriate backdrop for their lengthy improvised concerts. This is truly electric music for the mind and body." Pressed on 180gr. 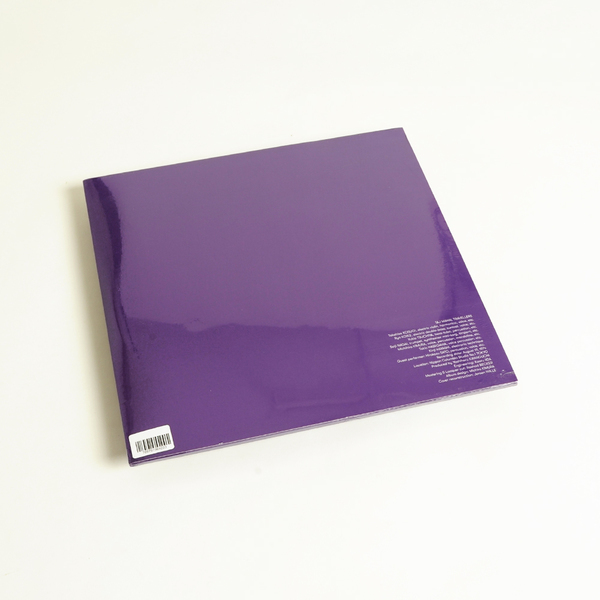 vinyl with extensive liner notes by Julian Cowley.